Violation: demolishing a 50 m2 coop that used to shelter 24 goats. Location: Al Ras region – Hebron City. Violators: The Israeli Occupation Authorities. Victims: Jamal and Abdulhay abu S’efan. 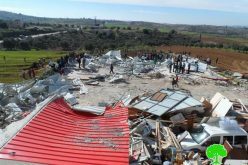 The Israeli Occupation Authorities demolished a barn used to shelter goats in Al Ras region in Hebron. 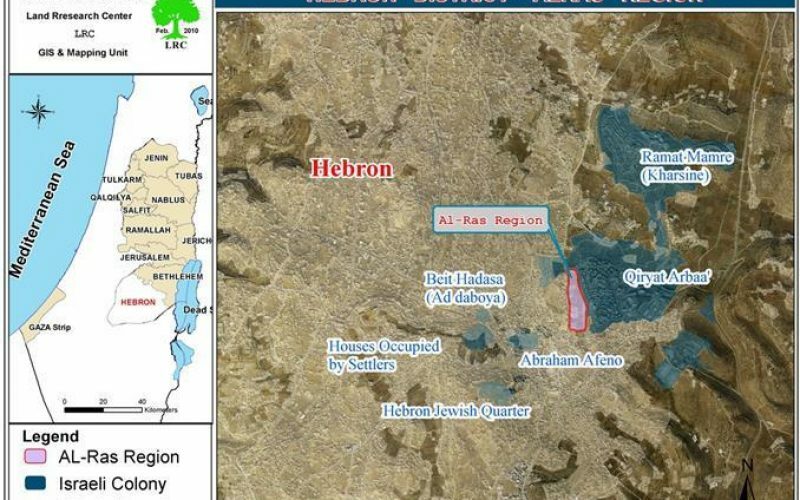 The area is located nearby Kiryat Arba which was originally built on the Palestinian Al Ras region. One of the victims stated that the barn was given to him by the ICRC to use it as a shelter for his and his neighbor goats. Abdulhay made clear that the 24 goats became homeless and that he had to find cover for them at one of his relatives. On the other hand, Jamal had to build a new barn on his own expense for the goats he owned. It must be known that the lost shelter worth at least 10000 shekels. The coop was built in 2006. 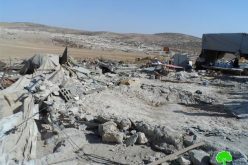 During the construction, the Israeli Occupation Authorities handed the owner a stop-work order. A demolition order was issued against the coop on October, 2009. The order was executed on February of 2010. One of the owners stated to an LRC observer: ’50 soldiers, a Civil Administration Officer, and a dozer appeared in the area. The soldiers surrounded the area and started emptying the barn of the creatures in it. Soon afterwards, the dozer demolished the simple structure, while the nearby colonists enjoying the view’. 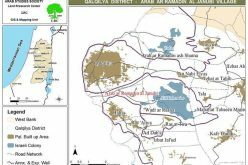 It must be pointed that the Israeli Occupation Authorities prohibit any type of construction in Al Ras region. 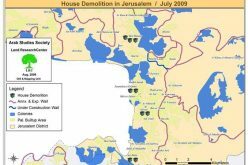 If any sign of construction was noticed, the Israeli Army will immediately surround the area, confiscate any construction materials, and sometimes take the owner into custody. Like any other Palestinian living nearby an Israeli Occupation colony, residents of Al Ras region suffer from day to day aggressions against their selves, their houses, their families, etc. Abu S’efan faced aggressions, including torching a number of houses, during the evacuation of the Israeli colonists from Al Rajabi building during 2008. In addition, the Israeli Authorities prohibit the entrance of any civilian vehicle to the area including ambulances. 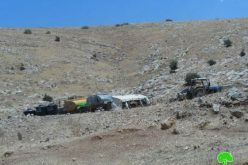 Moreover, the Israeli Occupation Army took over a 1 dunum of Jamal abu S’efan properties in the area for the sake of the segregation wall construction.